1 Who are K & D Systems? 2 What is a fire curtain? 3 Why should you trust K & D Systems with your fire safety? 4 Can you get fire curtains to fit a variety of buildings? 5 How are fire curtains made? 6 Where can fire curtains be used? 7 Do fire curtains save lives? 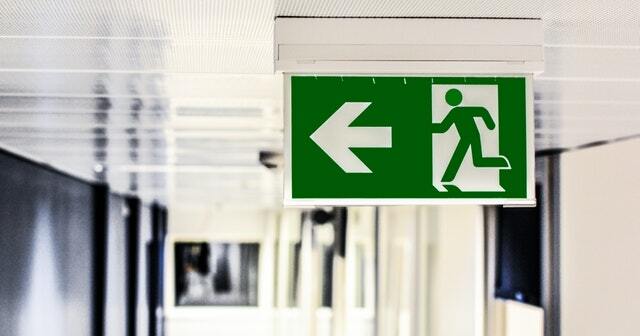 K & D systems provide businesses and apartments throughout the UK with a number of fire safety solutions, such as fire curtains, to help prevent the spread of flames and smoke. Our fire curtains can, for up to four hours, protect people from fire, creating enough time for them to escape and the fire services to arrive. On the face of it, a fire curtain seems like an obvious piece of fire safety equipment, but many people are unfamiliar with the technicalities of a curtain and how exactly they help in the parameters of fire safety. Simply put, a fire curtain is a temporary wall that will descend from the ceiling to provide a blockage or obstacle partition in-between two areas when a fire occurs. This guide will enable you to understand how a fire curtain can help save your life and prevent smoke and flames from spreading throughout your building or business. K & D Systems offer over 30 years of invaluable experience in dealing with fire in homes, businesses and large establishments and can provide wholesale fire safety solutions and advice to help safeguard your home or business against the potential threat of a disastrous fire. Who are K & D Systems? K & D Systems offer a plethora of innovative fire safety installation services and fire safety solutions across the UK and Ireland. Although their head offices are based in Sunderland in the North East of England, their services are stretched across the length and breadth of the country, with their fire solutions visible in the likes of Wembley Arena, Westfield shopping centre in Derby, and Birmingham and Gatwick airports as well as many other business buildings. The calibre of K & D’s client base shows the trust that the company has won from these clients, as well as their confidence in how K and D Systems operate to ensure that their businesses and apartments are safeguarded and prepared in the event of a fire. K & D Systems have a strong ethos centred around helping people and building strong relationships with their customers. Although you should never attempt to scrimp and save on your fire safety within your business or home, you can guarantee that K & D Systems offer fit-for-purpose fire safety technology at an affordable price for you, with as little disruption to your lives as possible. Continue reading below to find out more invaluable information about how a fire curtain works and how it can benefit your life, family and business. A fire curtain is a vital piece of technology for helping to ensure the safety of your tenants, employees and customers in the event of a fire. Made from a durable, lightweight material, a fire curtain is a device that is stored in your ceiling and can automatically descend from your ceiling in the event of a fire. The purpose of the curtain is to form a partition in-between two spaces and reduce the chance of the fire and smoke spreading any further and causing further harm to people. Therefore, the curtain allows people to escape from a fire-stricken place quickly and efficiently without harm. Because of the durable and lightweight material from which the fire curtains are made, it allows for quick and easy installation by K & D systems at a relatively low cost. The curtain is automatically dropped based on an alarm system that is intertwined with the smoke alarms. Therefore, when the smoke alarms are triggered because of a fire, the curtain will drop and begin to work its magic. Give K & D Systems a call to discuss the potential in your apartment office, or building for the implementation of a fire curtain. We can consider the best area for a smoke alarm to be installed and how it can prevent the growth of a fire at the optimal level. A fire curtain can prevent the spread and growth of a fire for up to four hours. Therefore, depending on the fire’s location, the curtain can provide ample protection to people trying to escape the smoke and flames. It would also allow a period in which the fire services can arrive and put out the fire. The curtain can provide an adequate partition in-between two spaces and, thus, provide a great solution in open-plan spaces for preventing the spread of the flames. In the event of a fire, the biggest killer is often smoke inhalation – and, more specifically, the suffocation that occurs as a result of this. A fire needs oxygen to grow and spread, and the fire curtain effectively combats this growth and prevents smoke from circulating into other areas of the building. A fire curtain is proven to be more effective than fire doors, which are often left open in hot weather to circulate air and, even when closed, still allow smoke to seep through the cracks and intoxicate the people inside. Fire curtains are used to protect vital escape routes for people to use. These curtains also provide time for the fire services to arrive and are aimed at leaving as little structural damage to the building as possible. Why should you trust K & D Systems with your fire safety? K & D Systems have over 30 years’ experience of working in the industry, with their cost-effective installation services providing valuable safeguards up and down the country. Their client base establishes them within their industry as a leading driving force and experts in what they do. With their headquarters based in the North of England in the post-industrial town of Sunderland, the brand’s main aims are to achieve long-lasting relationships with their clients and build up a solid collection of trusted fire safety advice throughout the country. Apart from these reasons, though, why should you trust K & D? K & D Systems offer amazing value for money and stand by the fact that fire safety equipment and solutions shouldn’t cost an arm and a leg for your business or apartment. All of their fire curtains and technical safety equipment are manufactured in their Sunderland-based factory and distributed throughout the country to the company’s various clients. With over 30 years of experience in the industry, K & D Systems can certainly be called experts in their industry and successful in what they do. Quotes are offered to potential clients within 24 hours, and the installation procedure is fast, efficient and non-disruptive to your daily routine. K & D’s 30 years of experience in the trade has enabled the company to perform its day-to-day responsibilities with expertise that can’t be found elsewhere within the industry. If you’re having any doubts about the quality of the products available from K & D, then rest assured when we tell you that all of the products manufactured in their Sunderland plant are independently tested by established fire services in Warrington in Chiltern before receiving certification and professional authorisation for use. You can benefit from not only these safeguards in product and expertise, but also a high-quality and insightful service with a three-day turnaround on production and a development team that is constantly investing in research and new procedures to help improve K & D’s products and keep businesses, buildings and tenants safe from the threats of fire. Can you get fire curtains to fit a variety of buildings? Another major benefit of the fire and smoke curtains available from K & D Systems is that they can be manufactured and adapted to be suitable for a number of different buildings and business requirements. Whether it’s creating bespoke designs for complicated escape routes or providing large-scale curtains for wide spaces, there’s nothing that K & D can’t produce when it comes to their fire curtain. One of our manufacturers will visit your premises to take measurements and work out the best action to take for all of your curtain needs. So, whether you run an open-plan office or shopping centre, or are the landlord of an apartment block, it’s worth enquiring about the services of K & D to work out how they can benefit you. Our fire curtains have been proven to deliver adequate solutions in numerous different styles of buildings, from arenas and shopping centres to busy international airports. This client base proves the scope of our products and the results that they deliver in restricting fire and smoke circulation when a fire occurs. How are fire curtains made? The K & D fire curtains are made with precision and quality from experts with over 30 years in the fire safety industry. As well as being independently tested and safety-checked by professional fire services throughout the country, these curtains can be designed and manufactured in a bespoke fashion and are made using only the highest quality of flame retardant materials and in a fit-for-purpose manner. Fitted with technical motors and an unlimited width of curtain with a maximum 8-metre drop, our curtains are suitable for an extremely wide range of businesses and structures. Furthermore, our installation experts deliver a hassle-free, non-disruptive service that allows for your fire curtain to be installed in a way that will enable you to get the best from your curtain and save the most lives in the event of a fire. Where can fire curtains be used? Enquire further to find out more. Do fire curtains save lives? There’s no doubt that the products supplied by K & D Systems have helped to save lives, with the fire and smoke curtain acting as the leading example of this. Although there’s no quantifiable statistics behind the fire curtain and the lives saved relating to the products established in the K & D Systems factory, you can guarantee the effects that four hours of fire prevention can have towards both the humans affected by the fire and the structure where the fire broke out. With most fatalities occurring due to smoke inhalation and blocked escape routes the fire and smoke curtain from K & D Systems provides not only a wall of protection but also time for people to escape from the building. The curtain even allows the fire services to arrive when exits are blocked. Distancing ourselves from the human element of a fire, the structural damage that a fire can cause can mean increased expenses and also make it increasingly dangerous for fire-fighters to tackle the fire if too much damage has occurred. However, this can be prevented, as the fire curtain can hold the fire back, preventing the flames from growing and the toxic smoke from circulating further throughout the building. Don’t look past K & D Systems for all of your fire safety solutions and for a cost-effective fire safety breakdown of your office, business or tenancy. Now that you have a better idea of the power that a fire and smoke curtain can have when you are looking to save lives and reduce the amount of destruction in the case of a fire, there’s no reason not to acquire a fire curtain. It could be the difference between life and death. Contact us today or give us a call to find out more about the products we have on offer and our business.